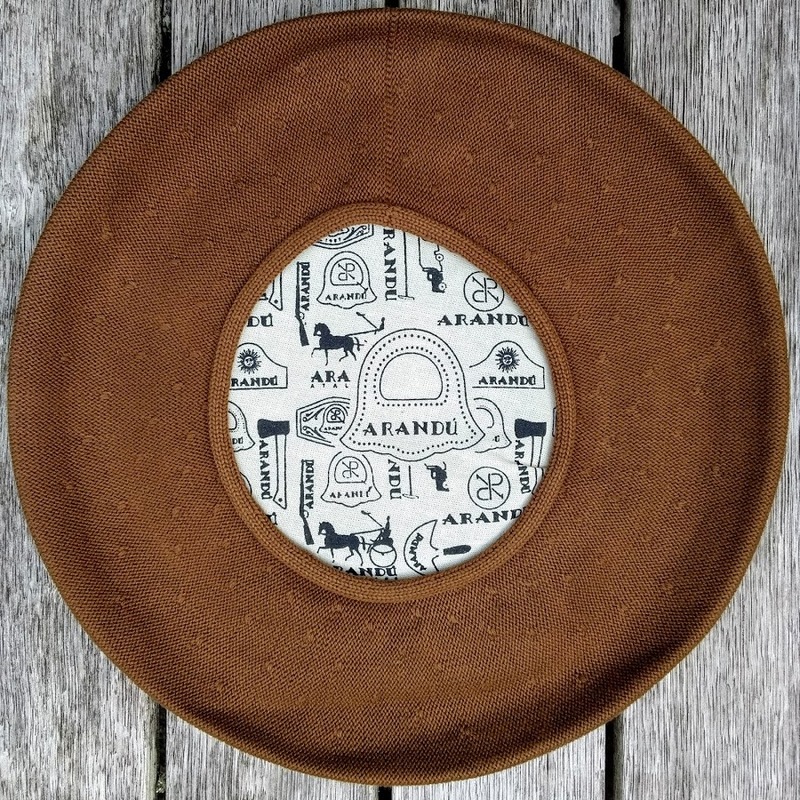 Arandú is a family business, established in 1987 and one of Argentina’s main outfitters, manufacturing and supplying traditional gaucho- and work-wear, polo and horse riding equipment, clothing and berets. 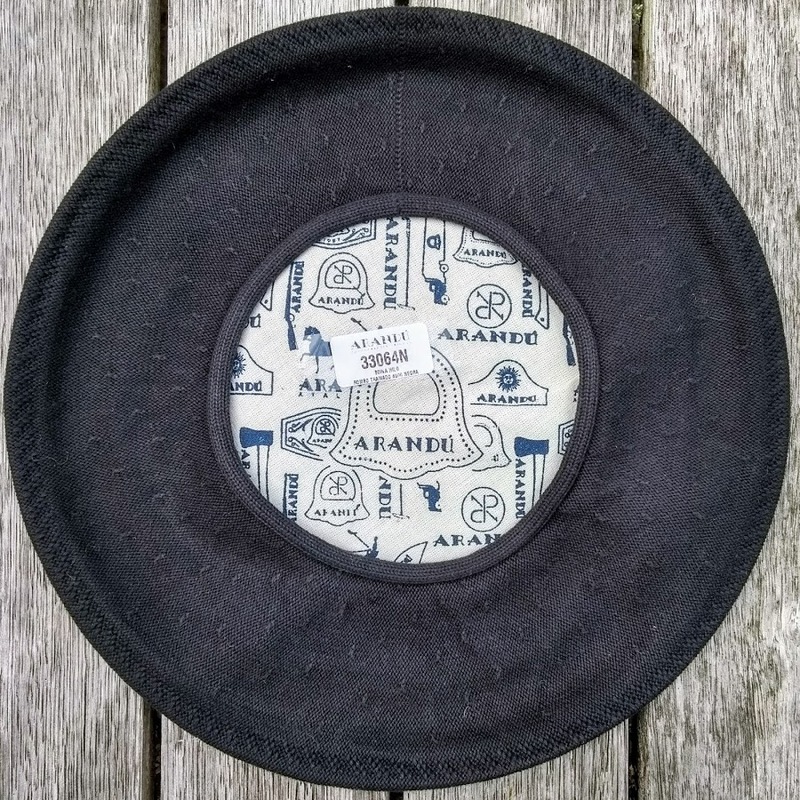 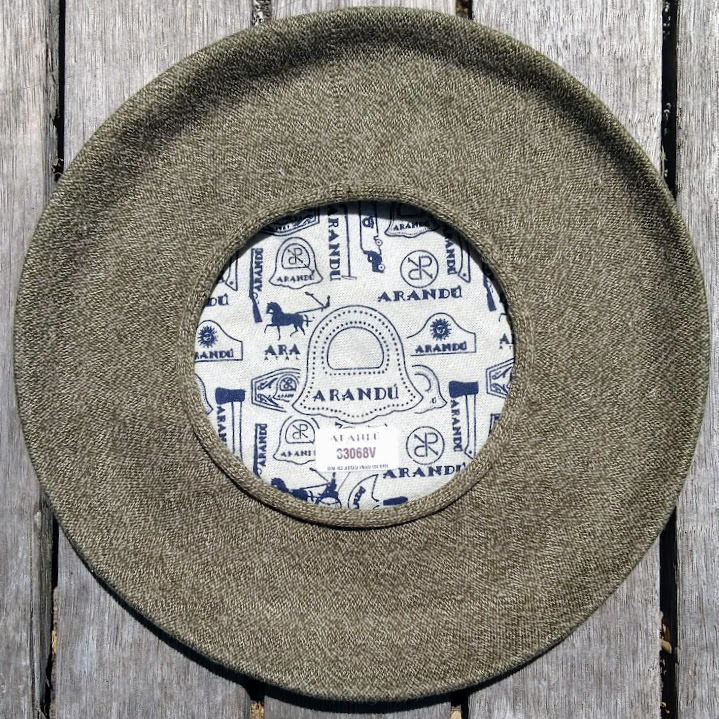 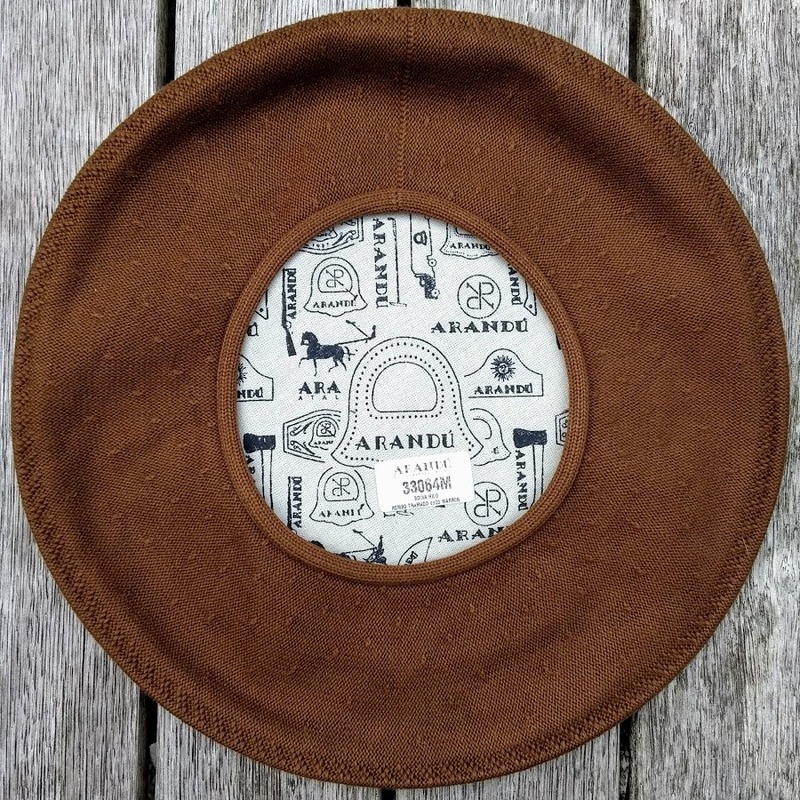 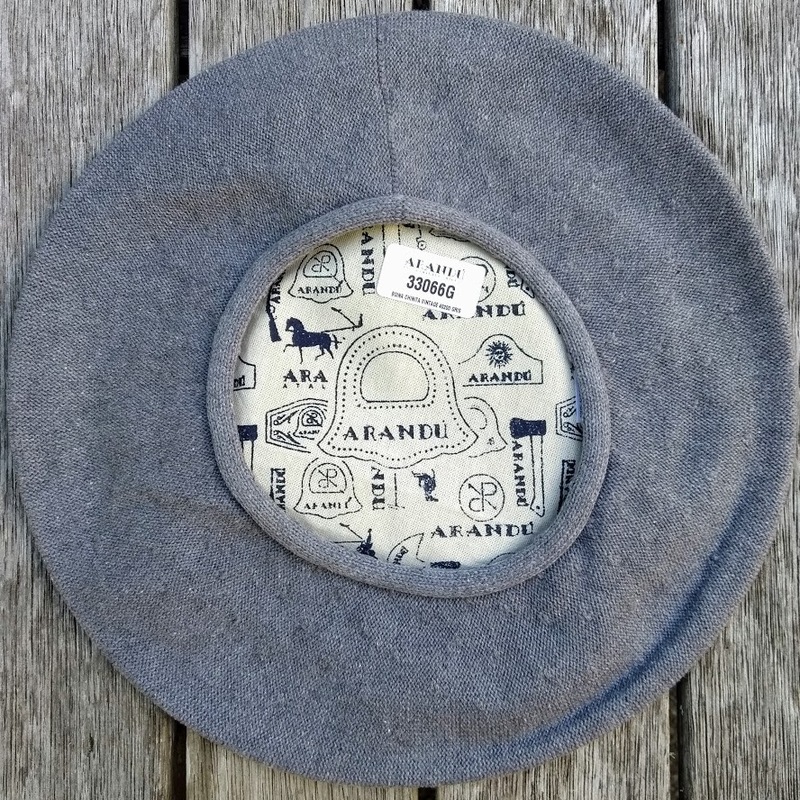 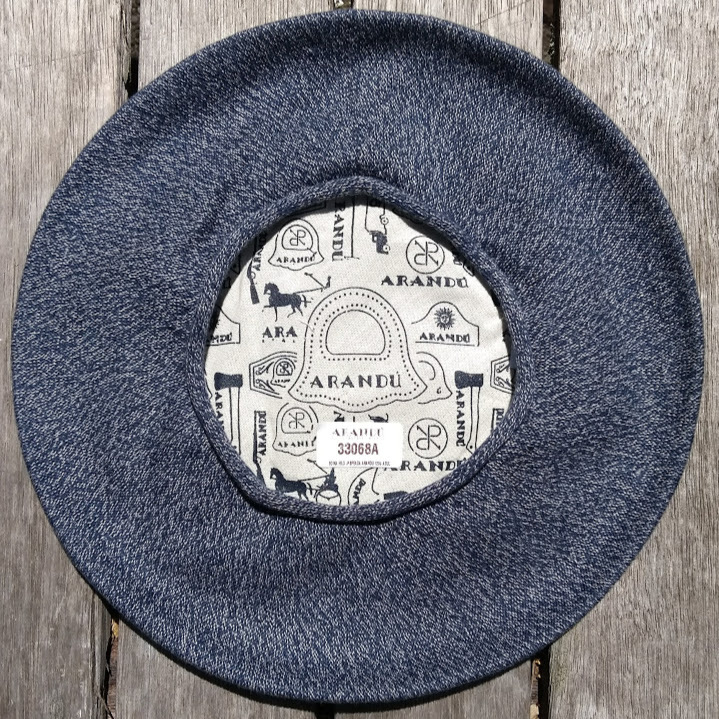 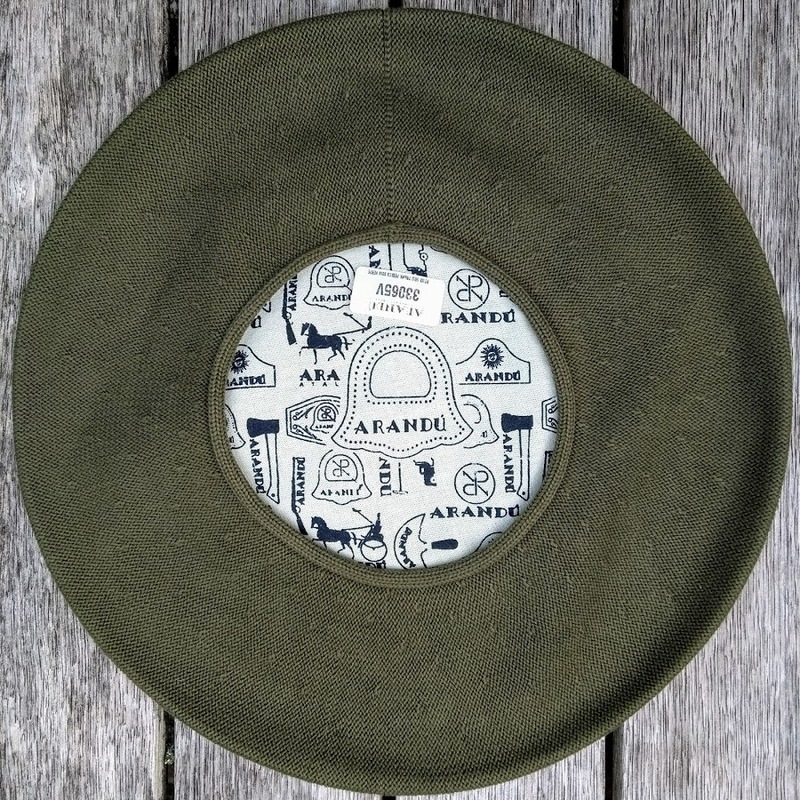 The cotton berets by Arandú are heavy-duty work gear; comfortable, hard wearing berets that are worn by gaucho's all over Argentina, Chile and Brazil. 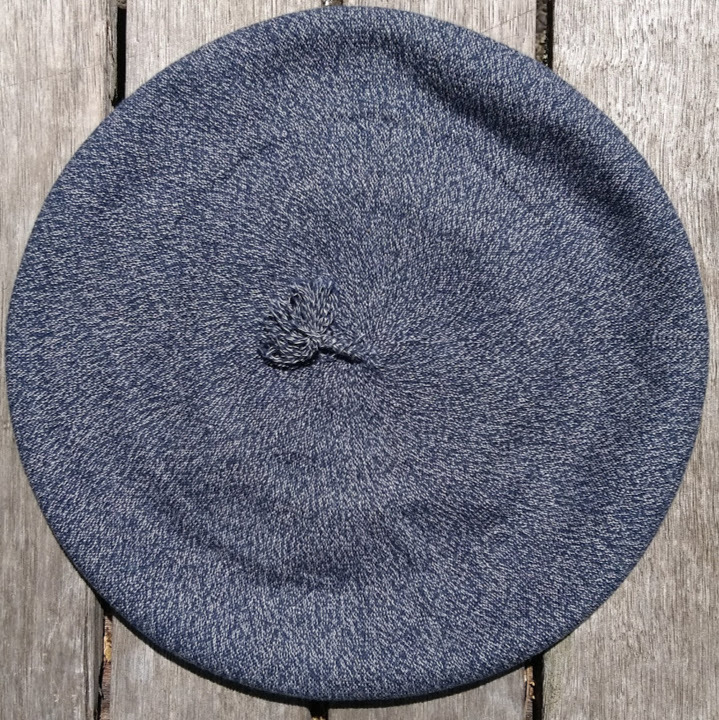 Fitted with a solid cotton lining these berets protect from the sun, keeping the head cool in the heat while easily withstanding the occasional shower. 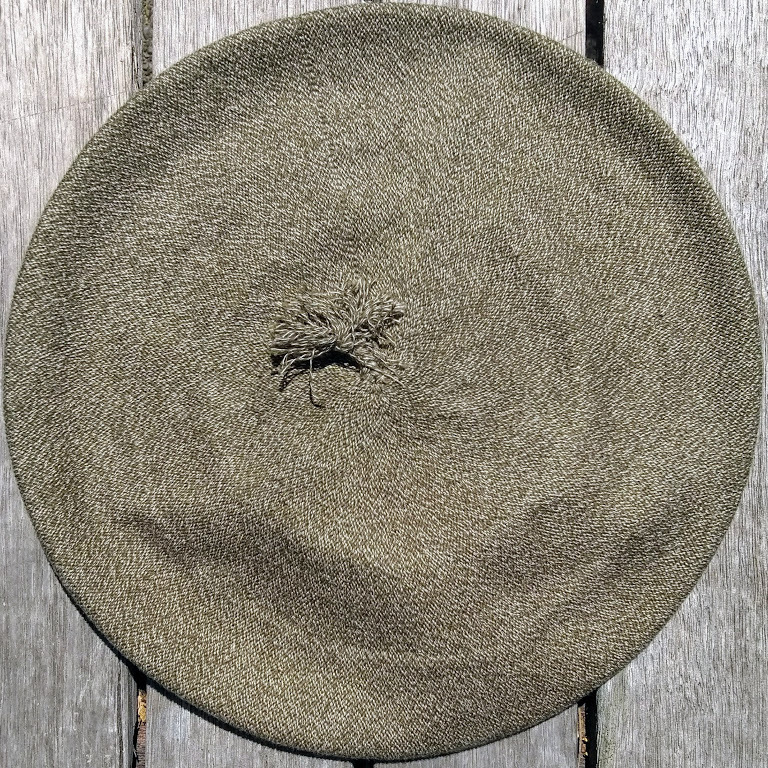 The standard beret measures approximately 31.5cm in diameter; the beret with the woven diamond pattern is slightly smaller at approximately 30.5cm diamter. 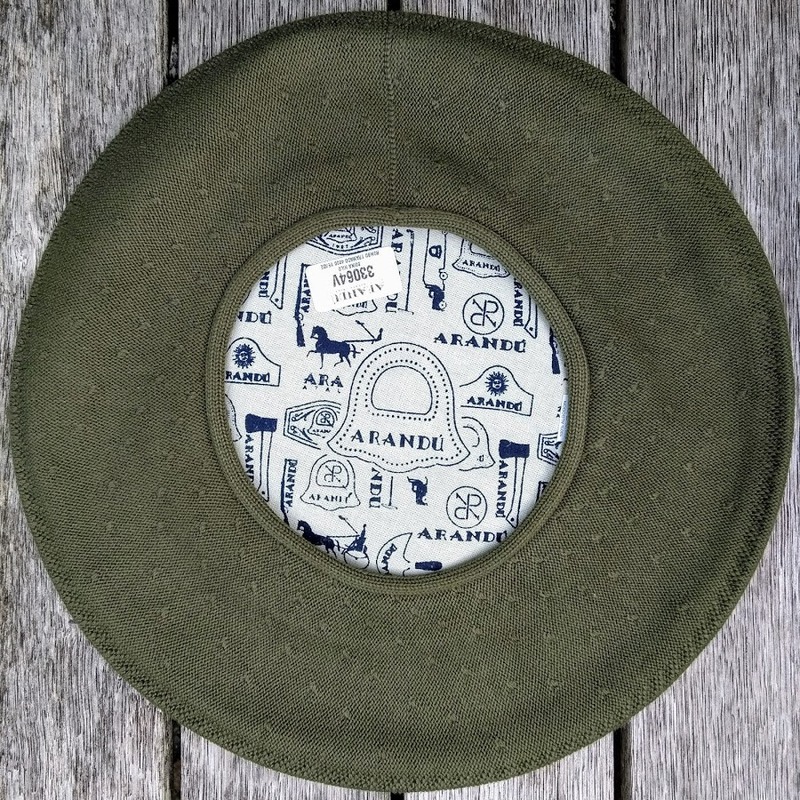 The 'Boinas Jaspeada' are great heavy duty workwear, but also make a fashionable statement for city folk. 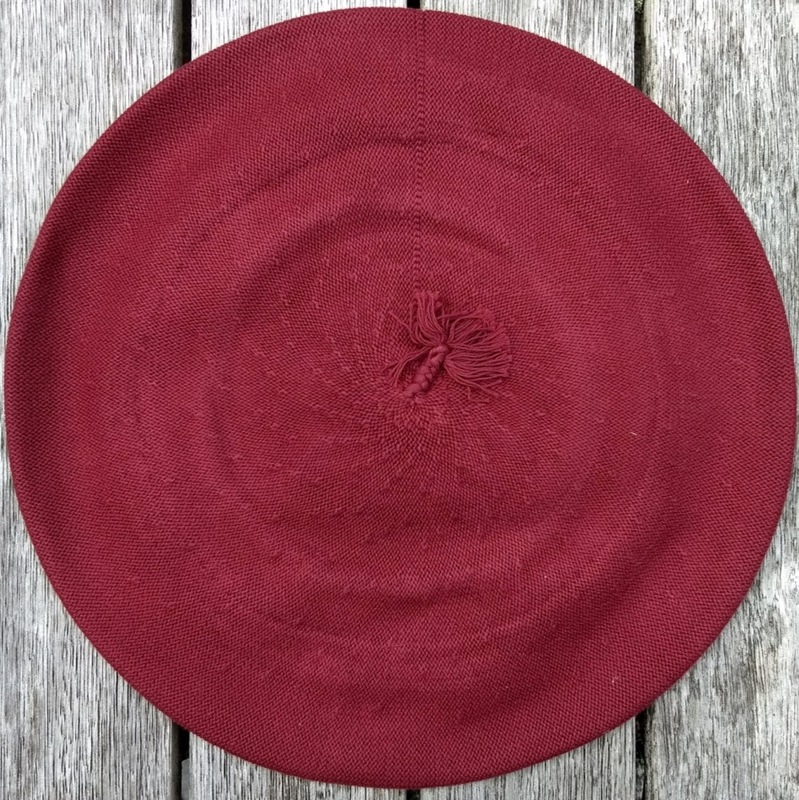 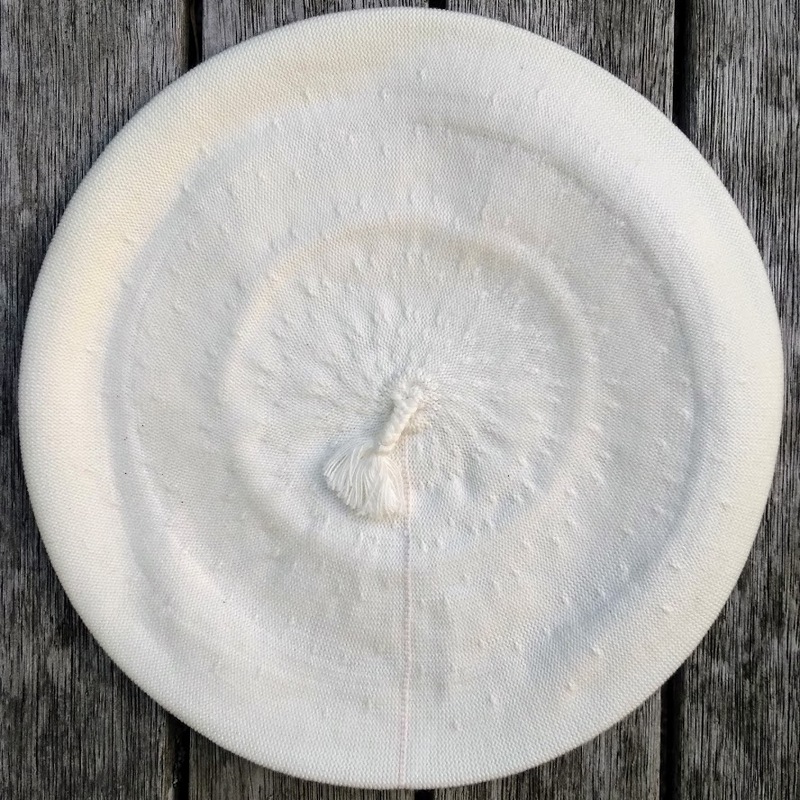 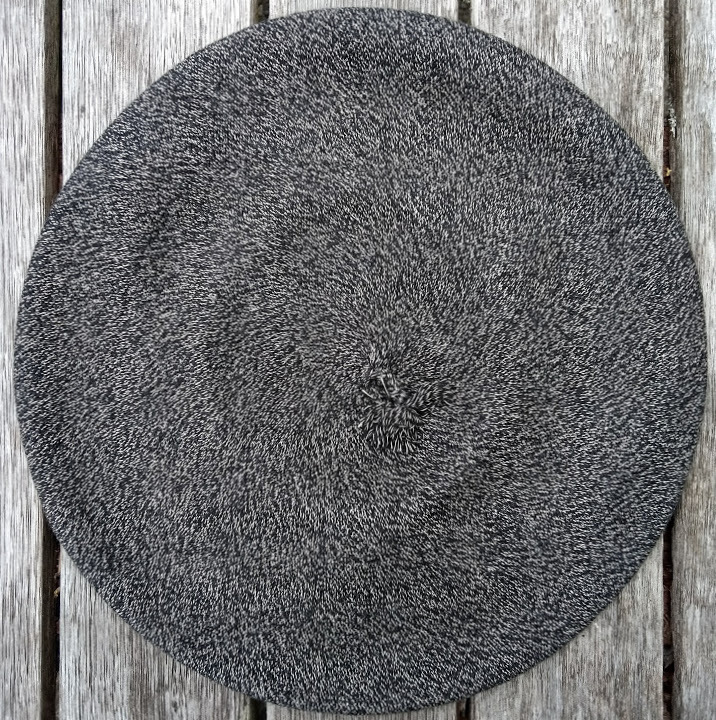 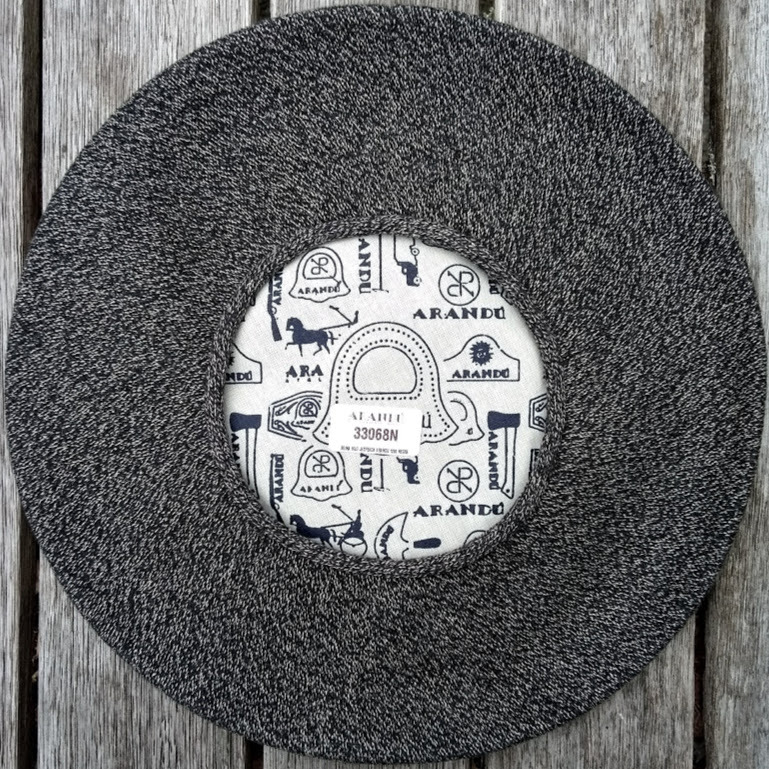 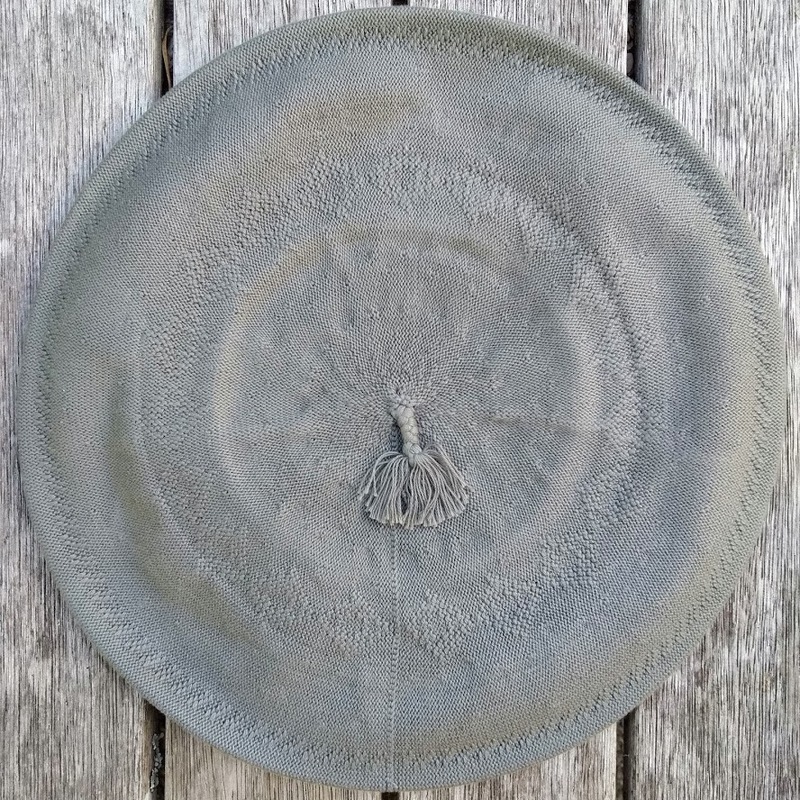 Similar to a heather pattern in wool berets, these 31.5cm "Jaspeada" berets have a solid colour mixed with a small amount of cream and grey coloured threads, resulting in a heather, marbled effect. 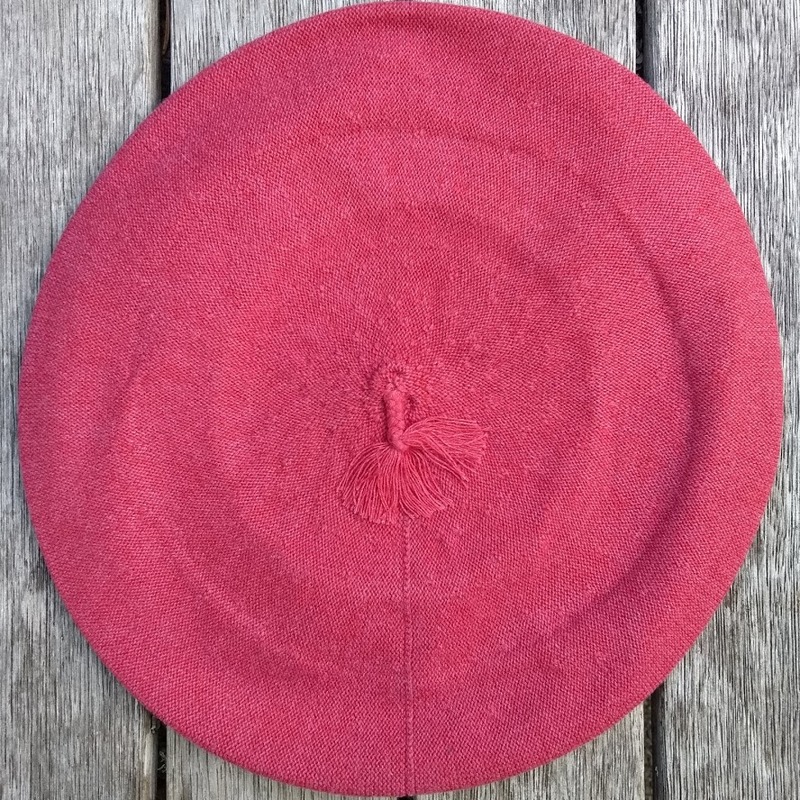 Fitted with a printed solid cotton lining, these berets are hard to beat in quality, comfort and durability. 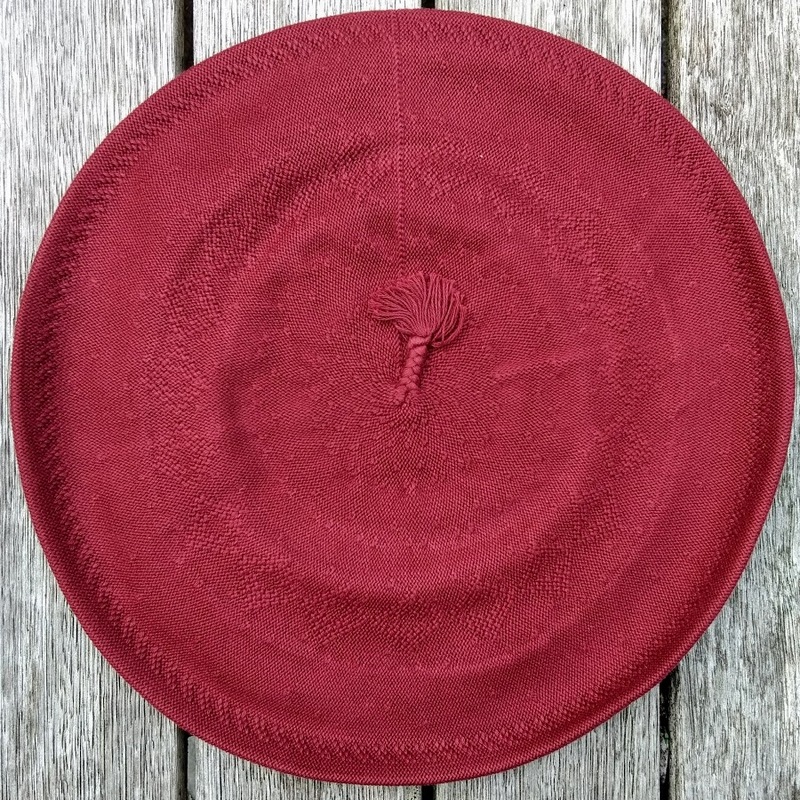 Available in Black, Navy, Green and Red Jaspeada @ $52.50. 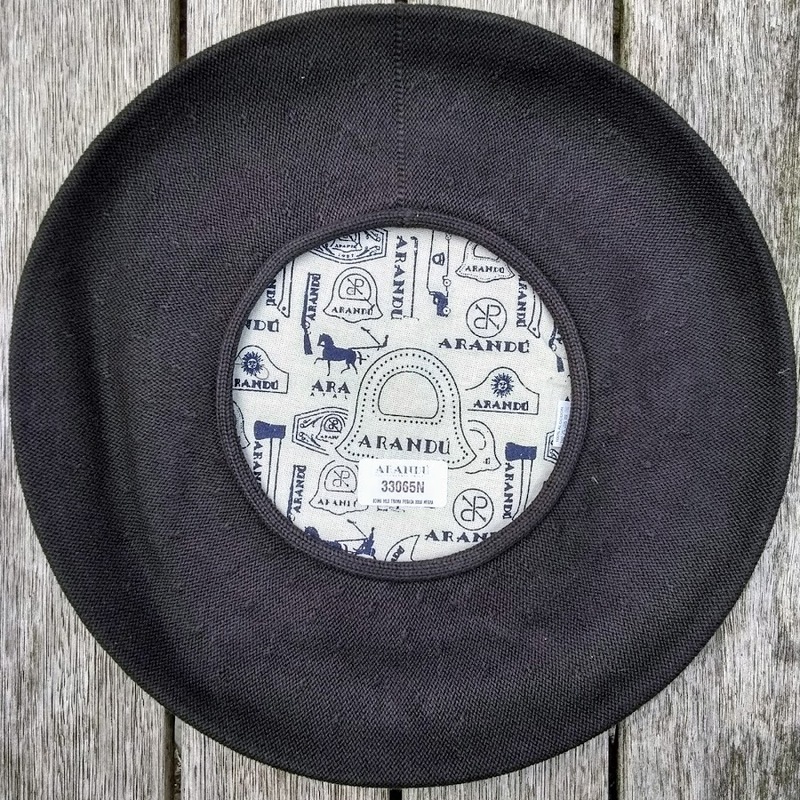 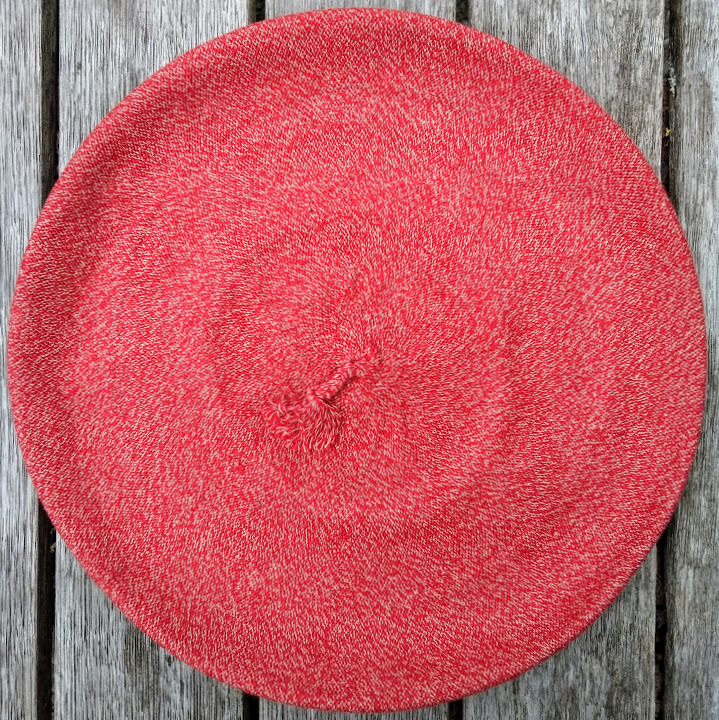 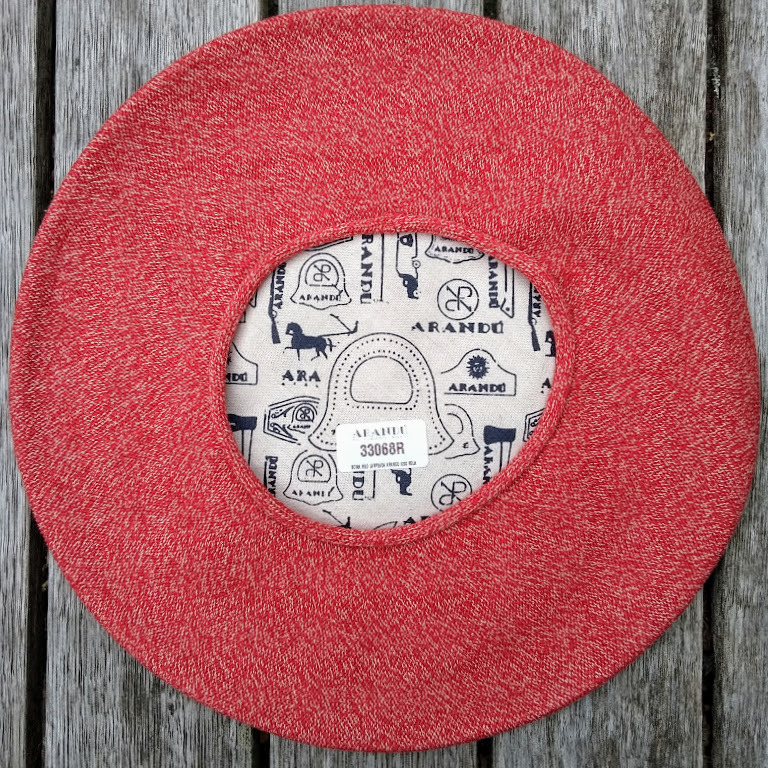 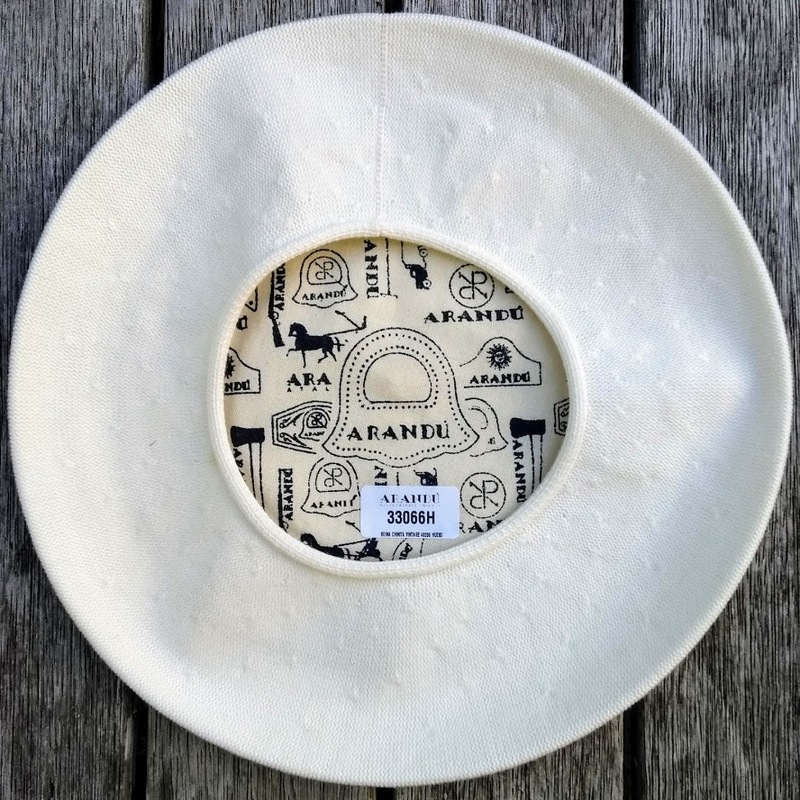 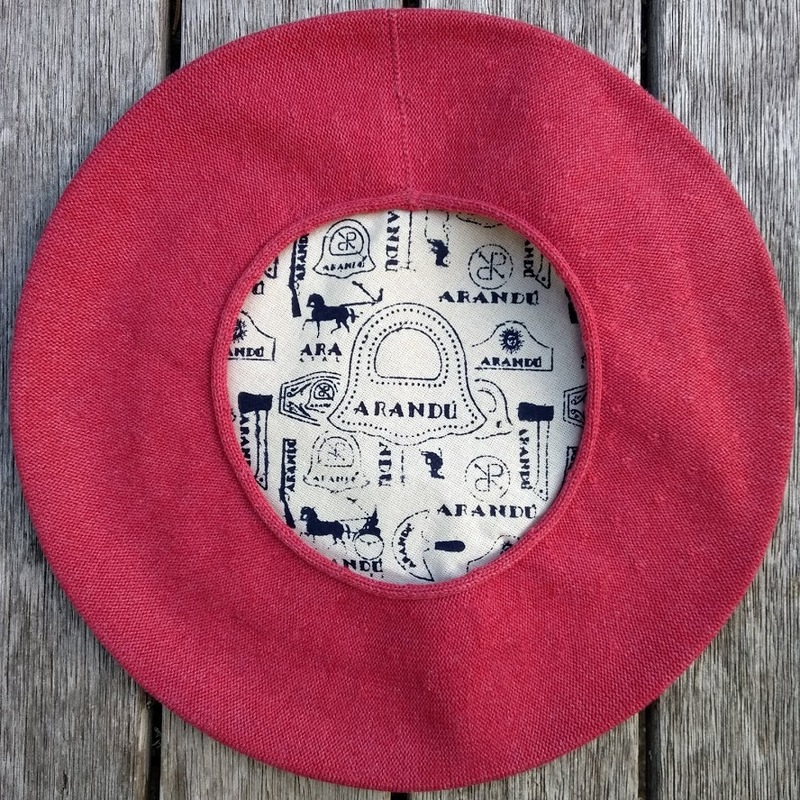 The Arandú vintage berets come in a 30cm diameter in red and white @ $49.60.